All the cars made way for the ambulance. An ambulance pulled up and a team of medics jumped out. Call 110 and ask for help, or call an ambulance. 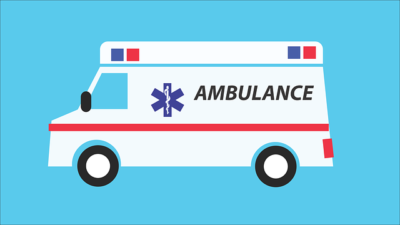 It is said that seeing an ambulance is very unlucky. Ambulances, helicopters and federal agents swarmed the school. Please call an ambulance immediately. The ambulance arrived on the scene of the accident. The ambulance siren is piercing. The cars on the road made way for an ambulance. The driver was still conscious when the ambulance reached the scene of the accident. The injured girl was carried to the ambulance on a stretcher.